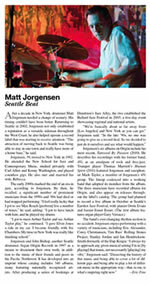 Seattle drummer Matt Jorgensen is featured in the Players section of the December issue of Downbeat magazine (with Trombone Shorty on the cover). The issue is currently on newsstands so pick up your copy before the month is out. The story details Jorgensen’s time in New York, his move back to his hometown of Seattle, the start of Origin Records and some of his recent projects. 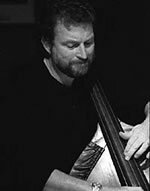 Returning to Seattle in 2002, Jorgensen not only established a reputation as a versatile sideman throughout the West Coast; he also helped operate a record label that was starting to receive attention. “The attraction of moving back to Seattle was being able to stay in one town and really have more of a home base,” he said. 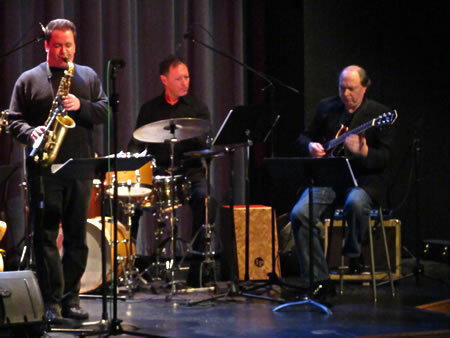 … Jorgensen and John Bishop, another Seattle drummer, began Origin Records in 1997 as a means to document their own work, in addition to the music of their friends and peers in the Pacific Northwest. 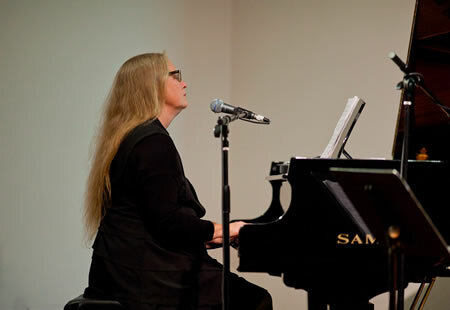 It has developed into an imprint whose catalog includes 340 albums, many featuring nationally recognized artists. 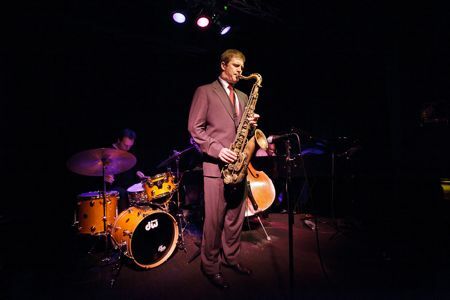 After producing a series of bookings at Dimitriou’s Jazz Alley, the two established the Ballard Jazz Festival in 2003, a five-day event showcasing regional and national artists. 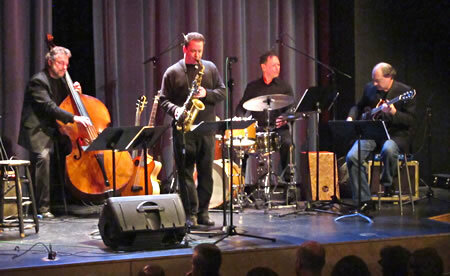 with Chuck Deardorf (bass), Mark Taylor (saxophone), Bruce Foreman (guitar), Dave Peterson (guitar), Dawn Clement (piano) and Mark Ivester (drums). 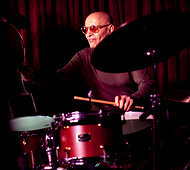 Paul Motian, a drummer, bandleader, and composer of grace and abstraction, and one of the most influential jazz musicians of the last 50 years, died early Tuesday morning at Mount Sinai Hospital in NewYork. He was 80 and lived in Manhattan. Eminent local jazz keyboardist Wayne Horvitz has gone into business with Steve Freeborn and Tia Matthies, the couple behind the old OK Hotel who now run the Rendezvous, and are opening a new club in Columbia City next month. The Royal Room is located inside the Royal Esquire Club at 5000 Rainier Avenue South — where John Roderick spent Election Night 2008 — and will include a bar, and a restaurant that will be open for dinner and weekend brunch. Horvitz says they hope to open by the week of December 16. Continue reading at The Seattle Weekly Blog. The fund-raising effort to aid composer, arranger, trumpeter and bandleader Jim Knapp is progressing slowly. Knapp recently lost his right foot and part of his lower leg in an operation to combat diabetes. In a message, he writes, “My recovery is going well. I have a prosthesis now, so I am bipedal again.” His financial recuperation is less stable. 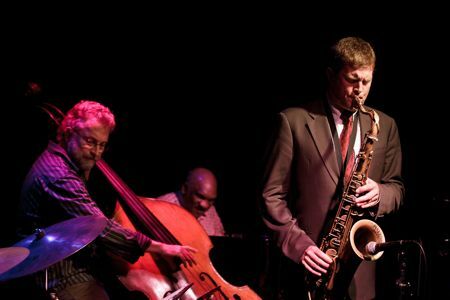 Friends and fellow musicians headed by saxophonist Steve Griggs have set a goal of $30,000 to defray Knapp’s medical expenses, which far exceed his insurance coverage. 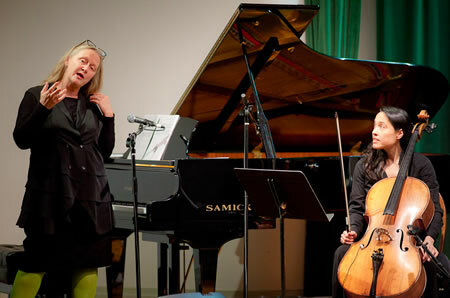 A performance of Knapp’s music earlier this month helped, but Griggs reports that the total is $4,485, more than $25,000 short of the target. He and his group have set up a donation website here. The benefit concert November 2 at Seattle’s Triple Door included this performance of “Secular Breathing,” the title piece of a 2003 Knapp album. 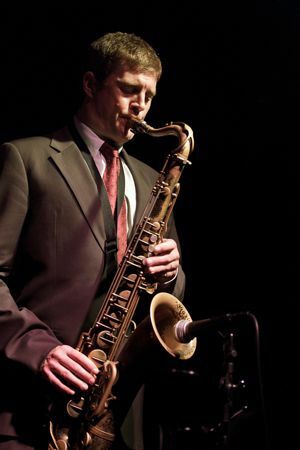 The soloists are Mark Taylor, Steve Treseler and Stuart MacDonald, tenor saxophones; John Hansen, piano; and Jon Hamar, bass. 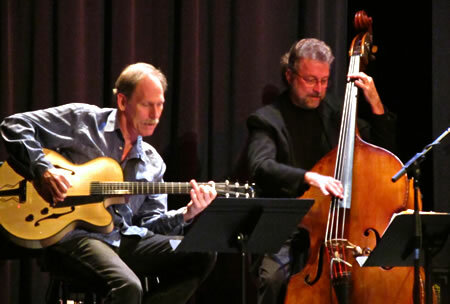 The other members of the Knapp Orchestra were Jim Dejoie, baritone saxophone; Jay Thomas, Brad Allison and Vern Sielert, trumpets; Tom Varner, French horn; Jeff Hay and Chris Stover, trombones; and Matt Jorgensen, drums. 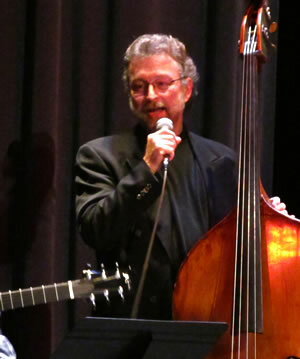 Seattle bassist extraordinaire and Cornish jazz professor Chuck Deardorf, equally at home on acoustic and electric models, celebrates the release of his splendid, swinging and thoughtful album, “Transparence” (Origin), one of the top local releases of the year. 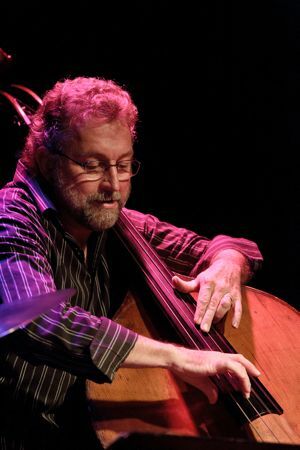 Deardorf, who recently had a successful kidney transplant, is back in action, much to the relief of the Seattle jazz community. 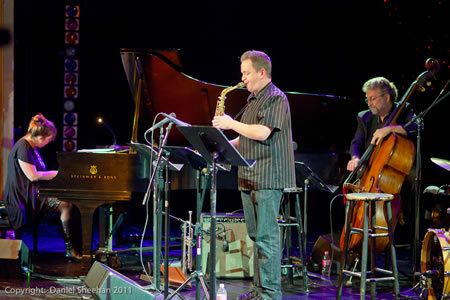 He is joined by Seattle saxophonist Mark Taylor and Los Angeles-based guitarist Bruce Forman. 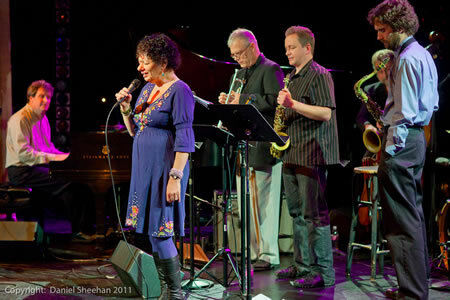 8 p.m. Saturday, Poncho Concert Theatre, 710 E. Roy St., Seattle; $10-$20 (206-726-5030 or www.cornish.edu). Human Spirit, the group led by Thomas Marriott, Mark Taylor and Matt Jorgensen, will be featured on The Seattle Channel’s Art Zone with Nancy Guppy program tonight, Friday, November 18. The show airs at 8:00pm on channel 21 and at 11:30pm on channel 9 and features performances by artists from some of Seattle’s top music labels. 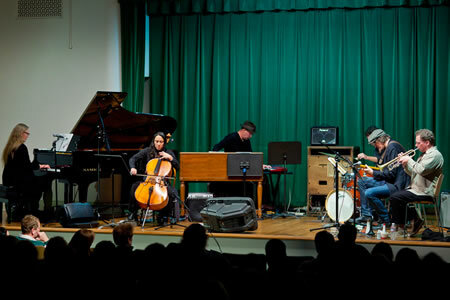 Human Spirit, with Ryan Burns on organ, performed Reversal of Fortune from their up-coming 2012 release. 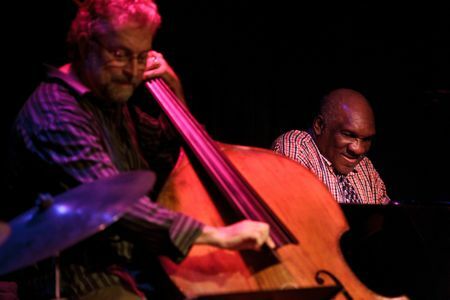 Eric Alexander (saxophone) and Harold Mabern (piano) performing in Seattle at Egan’s Ballard Jam House with Chuck Deardorf (bass) and Matt Jorgensen (drums). 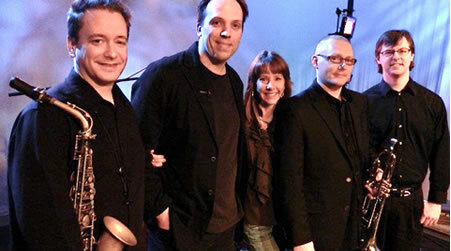 The outstanding pianist/vocalist Robin Holcomb with the lineup from her entrancing recent CD Presenting the Point of It All: Ron Samworth (guitar), Wayne Horvitz (keyboards), Dylan van der Schyff (drums), Peggy Lee (cello), and Bill Clark (trumpet).